It’s been a while since we last had them, the sonar pings. 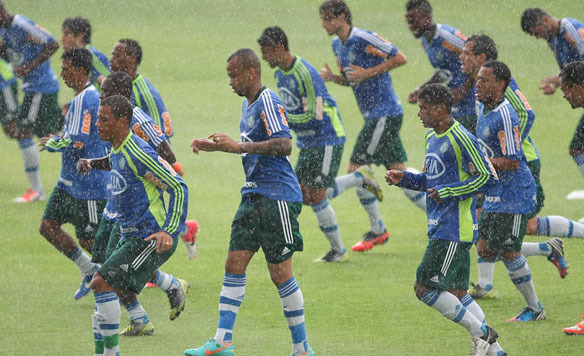 Partly, because everything with Palmeiras turns into such a mess it demands a full post. Actually, these recent happenings do as well but I’ll shamelessly admit I don’t have the time nor energy to waste beyond the minimum. It’s not the right word, but “enjoy”. Following the continuously not-so-good results, Palmeiras supporters are increasingly edgy and both directors and some players have reportedly been receiving threats. Mainstream media has been blowing the story up, and although it’s of course unacceptable that players walk around in fear – in addition to highly counter-productive – the whole thing shouldn’t be overestimated. Just nerves and that’s that. On the other hand, Palmeiras’ administration is sufficient to drive the calmest man insane. Returning from Araraquara, where Palmeiras drew 2 all with Botafogo last Sunday, communication at some point tilted: players were told they’d have all of Monday and Tuesday morning off, but no one got the message through to the rest of the staff or the journalists: everyone turned up on Tuesday morning, while players only arrived in the afternoon. The day was crowned with the announcement that Palmeiras would make 11.000 seats – not the standard 4.000 – available for Fluminense supporters in Sunday’s do-or-die clash in Presidente Prudente. Instead of trying everything within reach to boost our chances of avoiding relegation, our directors have their minds on the few extra bucks they can make by selling more expensive tickets to a larger number of the opponent’s supporters. Chocking, to put it mildly. Luckily, the immediate reaction from Palmeiras supporters was strong enough to have the directors retreat within 24 hours, on Wednesday announcing that 4.000 tickets would be available for Fluminense supporters. Speaking of Fluminense: the carioca club sustain the largest pay check of all Brazilian teams – roughly US$ 4 million a month. Perhaps not that surprising considering that player like Fred and Deco each receive some US$ 350.000 a month. The lion’s share is covered by the club’s sponsorship deal with Unimed. In 2011, Corinthians sustained the largest pay check and were crowned champions of the Brasileirão. Fluminense are heading in the same direction: a victory against Palmeiras on Sunday is all it takes. Palmeiras on the other hand need the victory to maintain any hope of remaining in the first division. Unfortunately, spending money is not a guarantee of success, our Verdão being the clearest example: with a total of some US$ 3 million a month, fifth-ranking Palmeiras are not quite up there fighting for top positions. Below, a list of the top 10 spenders in Brazilian football (numbers in US$). As announced by the president of Palmeiras’ Deliberative Council José Ângelo Vergamini, the club’s General Assembly will take place on 19 January. It’s still unclear in what manner the associates will ratify the Direct Vote proposal: by approving/rejecting the whole package or voting the proposal and then each amendment separately. The second option would be correct and give members a chance to modify (i.e. lower) the filter for candidates to run for election (currently set at 20 per cent of approval from the Deliberative Council). The battle never ends.